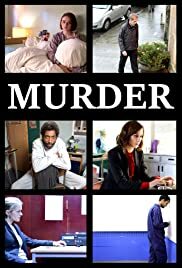 Series of individual murder dramas unique in the way in which protagonists talk directly to camera when giving their version of events. A family saga which begins in Manchester in the summer of 1996, on the day when an IRA bomb exploded in the city center. On her way back home from school, 14-year-old Sky is followed home by a gang, the rest is a blur. Her big sister Jessy-May takes matters into her own hands. More melodrama than murder, with lots of overly dramatic, hand wringing soliloquies that make Macbeth and Othello seem like light comedy. The range is from dark to bleak to funereal. Just relentless. The overacting makes the reveal of whatever mystery there is seem like an afterthought. One of the scenes -- a character repeating the same few words dramatically over and over with slightly different phrasing each time -- was almost a parody of acting. I think we are supposed to ache with his sadness and loss, but the only loss I felt was that I hadn't watched something else. I had hoped this would be like The Accused, another series in which characters implicated in murder reveal how they ended up where they are. No such luck.